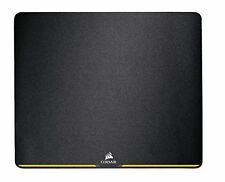 X-Large Mouse Pad : Large enough to accommodate both mouse and keyboard. 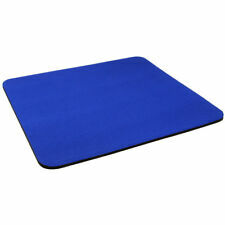 Durable Anti-fray rugged stitching surrounds mouse pad to increase durability. 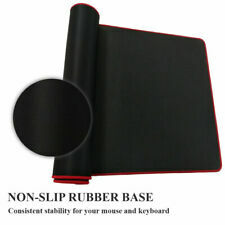 Premium Design:Features anti-slip rubber base, this pad will not slide while using keyboard or mouse. Flexible 3mm thickness to adapt to all surfaces. Take your gaming experience to the next level with the REALMAX® Gaming Mousemat. With a superbly smooth surface and anti-slip base, this mat will help you and your gaming mouse glide your way to victory - and all for a great experience. Ergonomically Designed for ease of motion and relief of Joint Stress. 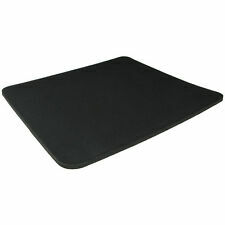 Backed with a Neoprene rubber non slip surface, stopping the mat from sliding. All enquiries will be responded to within 24 hours. Take your gaming experience to the next level with the REALMAX® Gaming Mouse mat. With a superbly smooth surface and anti-slip base, this mat will help you and your gaming mouse glide your way to victory - and all for a great experience. TAPIS DE SOURIS EN MOUSSE. Convient pour tous types de souris. Couleur noir -. Fabric Mouse Mat/Pad. Colour: Black. 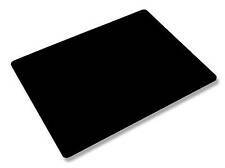 A mouse mat with non-slip bottom and smooth coating for comfortable and ease of use. Available in a wide range of colours. Colour: Dark Blue. Length: Accessory. NORTHERN SOUL MOUSEMAT. & SCOOTER RELATED. Northern Soul. FOR MORE NORTHERN SOUL. They have a really nice feel to them and they work well with all types of mouse, infra red and wheel type, wired or wireless. Size: 60cm x 30cm. Professional Gaming Mouse Mat. 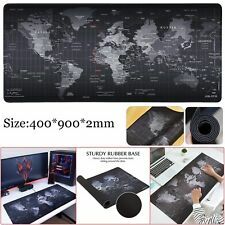 Stylish Extra Large Mouse Mat. Made from durable Fabric. Super Soft. X 1 Keyboard Wrist Support. Outdoor & Leisure. NON-SLIP BASE - Non-Slip Base perfect for your desk. BLACK - Stain and Water resistant. iPod Accessories. Office & Desktop. Health & Lifestyle. Car & Motorbike Gear. Size: 90cm x 30cm. Professional Gaming Mouse Mat. 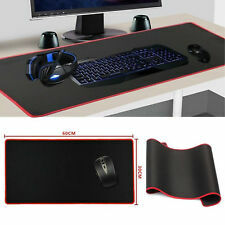 Stylish Extra Large Mouse Mat. Made from durable Fabric. Super Soft. WIGAN CASINO MOUSEMAT. A Great Mousemat for all Northern Soul Wigan Casino fanatics. Wigan Casino. WIGAN CASINO -. WIGAN CASINO. & SCOOTER RELATE. Northern Soul. FOR MORE NORTHERN SOUL. Custom Printed Mouse Pad Personalized Photo, logo, design Add Your Own Image Condition is New. Mouse pad printable size is 7.75" X 9.25 " thickness 3 mm. HIGH QUALITY CUSTOM PRINTED MOUSE MAT. 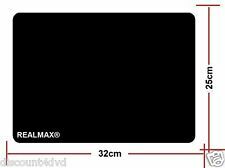 Rectangular Mouse Mat approx 180MM x 220MM x 5MM. 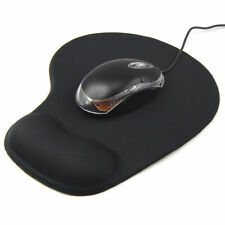 These fabric Mouse Mat is well padded with 5mm thick soft rubber for extra comfort. 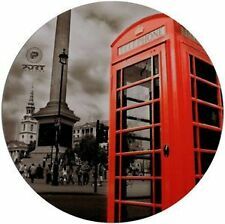 This 9.25" x 7.75" rectangular mousepad of the image shown is made of a durable heat-resistant polyester fabric top, will keep your mouse rolling in style. The mousepad is 1/8" thick. It will not discolor or fade, machine washable. It's important to notice the difference between SteelSeries QcK mass and all other mouse pads from our SteelSeries product line. 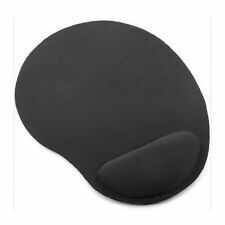 While the mouse pad is much more soft and comfortable to touch, the height is also fairly massive, reaching a total of 6mm. The Duo Gel Wrist Rest fits along the full length of a standard keyboard and moulds itself to the shape of your wrists to provide complete comfort and support as you type. Available in a choice of two stylish duo-tone colour combinations, it features a ventilation channel to keep hands cool and dry and has a soft wipe-clean finish. Click here for more details. Ergonomically designed for ease of motion and relief of joint stress. Gel filled wrist support. All enquiries will be responded to within 24 hours. Add to favs. There are no hidden fees on the advertised price. ALUMINIUM LOOK APPLE LOGO. Quality Photo Dyed Fabric Mouse Mat. Quality fabric Mouse Mat with a photo glazed into the top. Machine Washable. 6 mm thickness. 24cm x 19cm. LANDMARK MOUSEMATS. CLASSIC GUITAR AMPLIFIER. CLASSIC TRAIN MOUSEMATS. CLASSIC PLANES MOUSEMATS. 6mm t hick anti slip rubber backing. Premium quality heavyweight fabric m ouse m at with a photo dyed into the top. 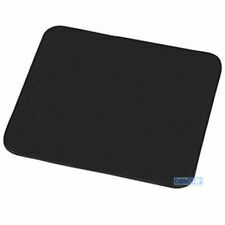 M ade using high quality 6mm thick non slip rubber backed mouse mats. Personalised Mouse Mat. Personalised Cushion Cover & Pillow Case Printed Photo Gift Custom Made Print. Personalised Luggage Strap, Suitcase With Lock Safe Luggage Belt Printed. Print will cover whole mouse mat. Mid-sized design for optimum versatility. Slick Cloth Weave. Highly Taut Weave. Type: Gaming. Colour: Green and black. Speed Edition. PTFE - Teflon tape for mouse - gaming. this improves of your mouse for gaming. 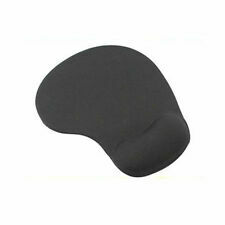 This is a single sided adhesive product that you just simply cut to your required size for your mouse pads. This tape is suitable for any mouse.